Experiment #1: The beetles in the bug house were not as destructive as I thought they would be. 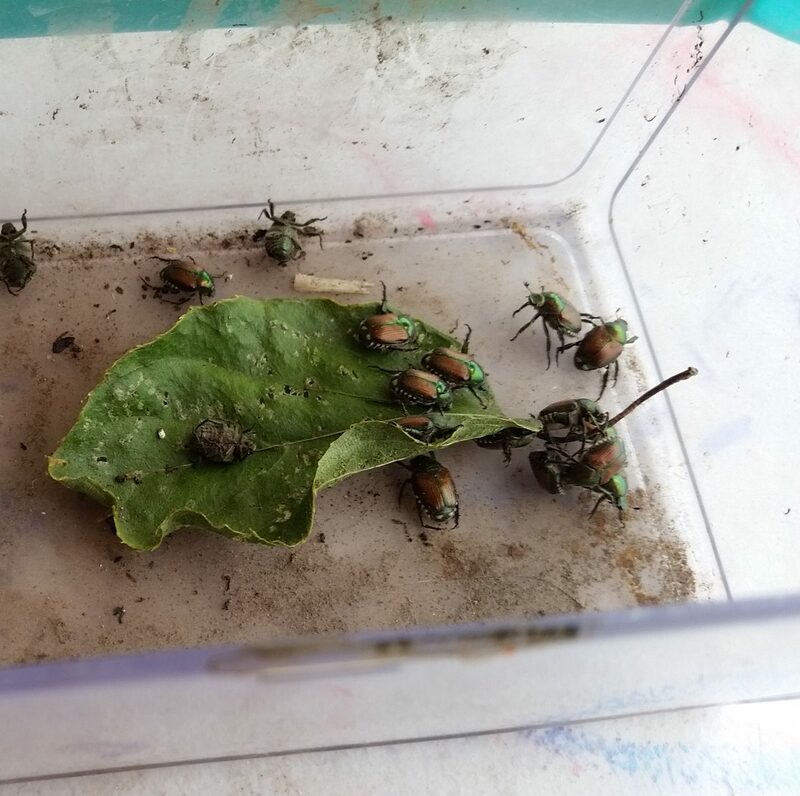 Experiment #2: The containers with dead beetles were slightly effective, but by the time we installed them around the perimeter, there were just too many beetles to combat. 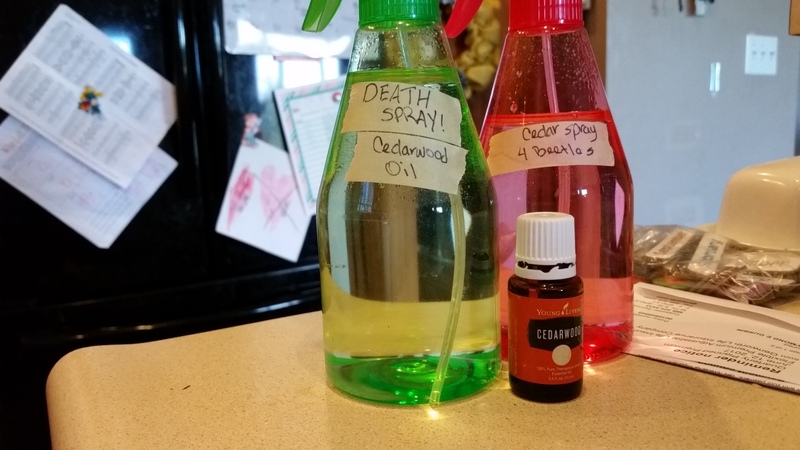 Experiment #3: We tried a homemade essential oil spray: cedarwood oil with water. We sprayed one row of kiwi and, while there were fewer beetles the next day, there were again too many to combat. Experiment #4: After seeing that they were leaving the chocolate mint completely alone, my niece had the idea of making a “potion” of mint and water. 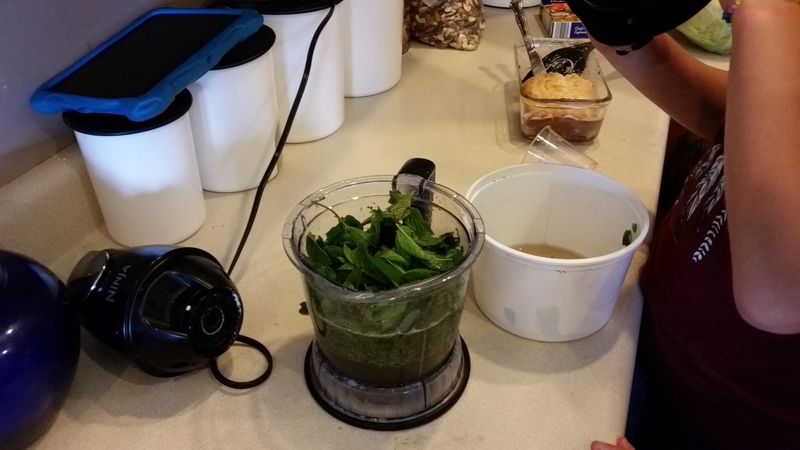 We pulled a bunch of mint and blended it up with water, strained it and loaded up a couple of spray bottles. The troops were deployed. 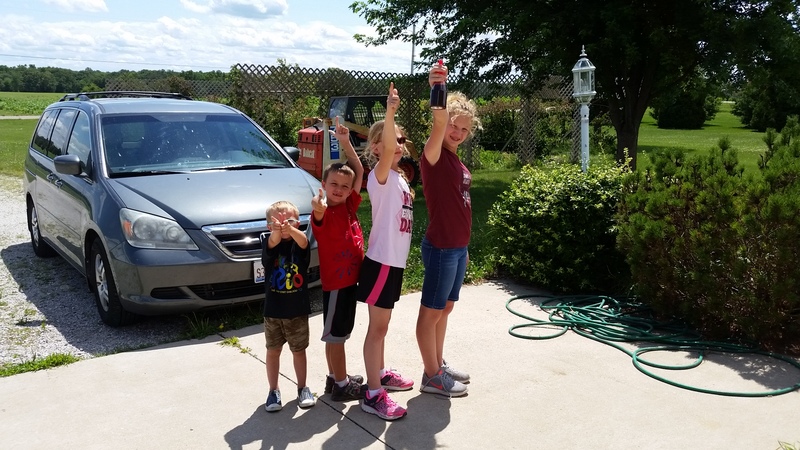 This time, we sprayed two of the rose bushes, leaving the third as our control. Again, it worked slightly, but there were just too many to combat. What do we do now? I’m at a loss. Further research will be needed to determine our next steps. Stay tuned. 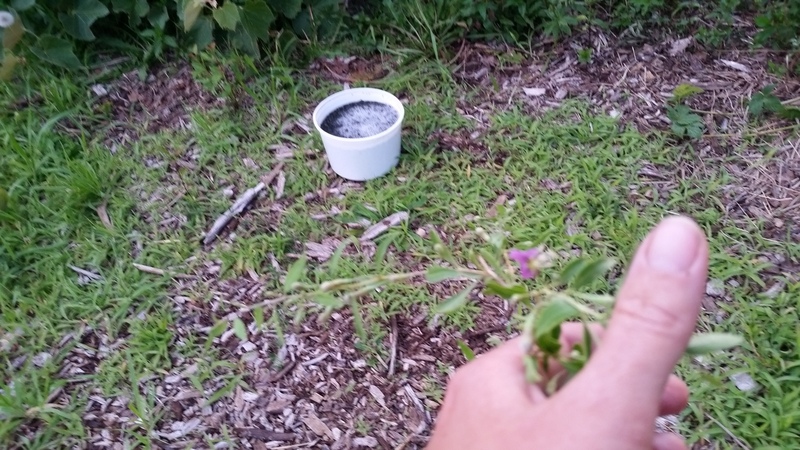 This entry was posted in Education, Garden Stories, Haiku, Jake the Bug Hunter, Joe the Bug Hunter, Permaculture, Poetry, Writing. Bookmark the permalink.